Apple has offered to spend $9.7 million on new bike and pedestrian-oriented transportation projects in the city of Cupertino, where it has two campuses, reports The Mercury News. Apple made the offer to city officials last year after hearing of a proposed change to the city's business license tax that would require Apple and other businesses in Cupertino to pay taxes based on the number of people employed. The city last July agreed to postpone the changes, which would have cost Apple approximately $9 million per year for its 24,000 workers. 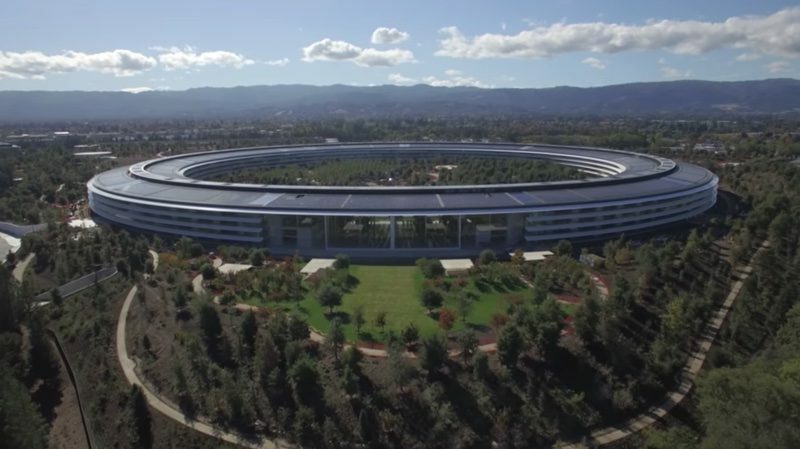 Changes to the business tax have been postponed until 2020 to give the city time to work with Apple on providing private funding to cut down on commuter traffic in Cupertino. Apple has been attending regular meetings with Cupertino city staff to come to an agreement. - $4.63 million to fund bikeways along McClellan Road near Lincoln Elementary, Kennedy Middle and Mona Vista High schools. The money would also fund design and construction of two sidewalk improvements and a new signal light at the intersection of McClellan and DeAnza. Cupertino Vice Mayor Liang Chao said that he's disappointed by the funding level proposed by Apple. "When we were considering the tax, the city would have gotten $10 million in ongoing income," he said. He's also concerned that the money is going towards bike and pedestrian projects rather than efforts to relieve vehicle traffic. On a March 27 letter to the city council, Apple's VP of real estate and facilities Kristina Raspe said that Apple is looking forward to moving forward on construction. "After much work with the City, we have identified several Phase 1 projects that we are happy to financially support and move forward on as quickly as possible," she wrote. Apple is said to have approached the council with suggestions for bike and pedestrian improvements as the company had a specific interest in funding alternative transportation projects. The city council will be voting on whether to accept the funding from Apple at a later date. Apple may also be asked to fund a shuttle project that would connect local transportation hubs and major destinations citywide. I'll give you the right headline. "Apple offers spare change to City of Cupertino to avoid taxes." This is like the worst deal ever for the city. And what's Apple going to do if the city declines, move their spaceship to a new city? They're stuck there and the city should tax them to the fullest extent. It's $9.7 once on projects vs. $10M/year perpetually. This is terrible! Apple is greedy! This actually is bad news! Tim Crook should go to jail! Money hoarders! Bad citizens! Ireland! China! Emoji! Mac Pro! Notch! You’re holding it wrong! Apple: $9.7M? Just a sec guys let me check between the couch pillows. Can’t have shiny extremely expensive gadgets in a socialist country. 80%+ tax = the end of gadgets. So, is it legal to avoid paying taxes or not? I’ll answer. It is. It’s smart. It happens every day. Nobody cares unless it’s a certain President. Cool beans we just love the double standard. The fact that Cupertino will even entertain a proposal in which Apple dictates how its money is allocated in the city shows how much power Apple has. I'm not sure that's a precedent that the mayor and city council of Cupertino should set. That is kind of a big new tax to introduce to a business after they have committed to a location. If this tax is for the impact on traffic in the area, I think it is fair for Apple to offer to directly address some of the traffic issues in place of the new tax. The question should just be in terms of the effectiveness of the solutions implemented by Apple. The mayor seems to care more about the money than their justification for the tax. Why does a subscription service company need such a big building? As long as they didn't do anything illegal, fine by me. Confused. Isn’t a person on a bicycle one less person in a car? Yes imagine if trump offered to pay for his own wall. The difference is not 300k. One is a fixed one time payment, the other is recurring revenue that goes up with employee count. Apple spends more than 9 million a a year in paperclips. I doubt they care about the money aspect.